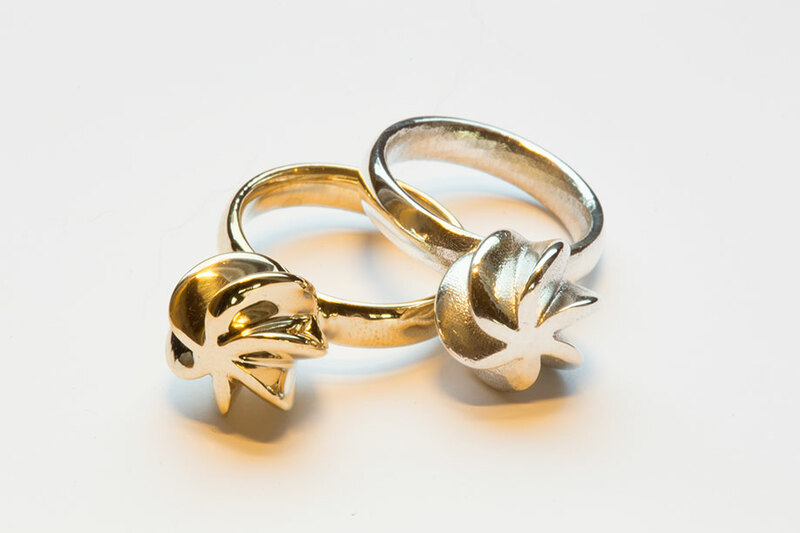 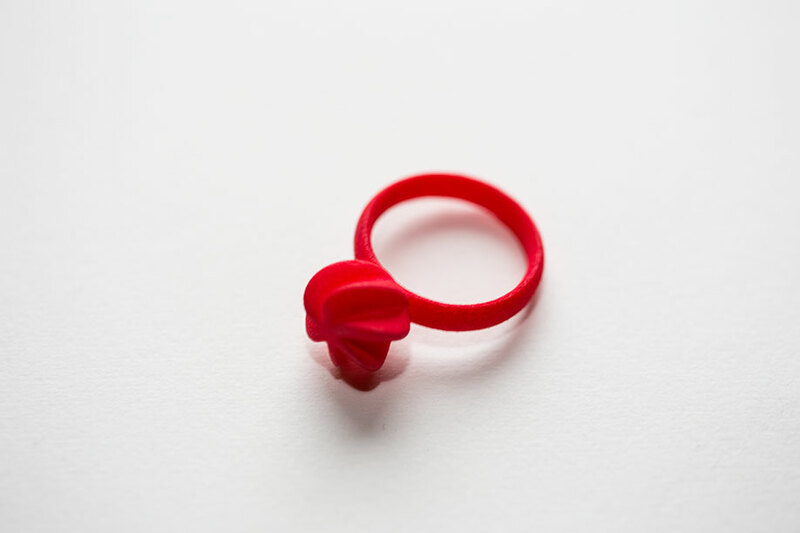 Flora is the first ring I designed for Sushi & Cement, my collection of 3D printed jewelry. 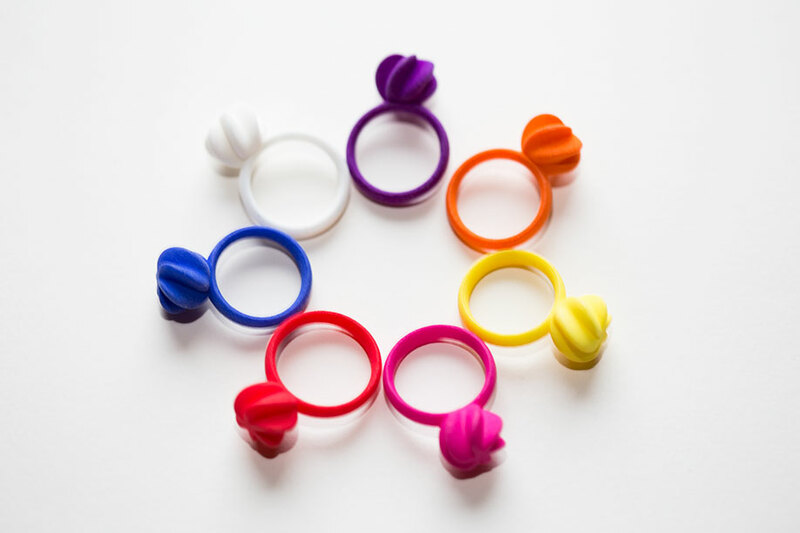 The ring is lightweight, and feels great to wear. 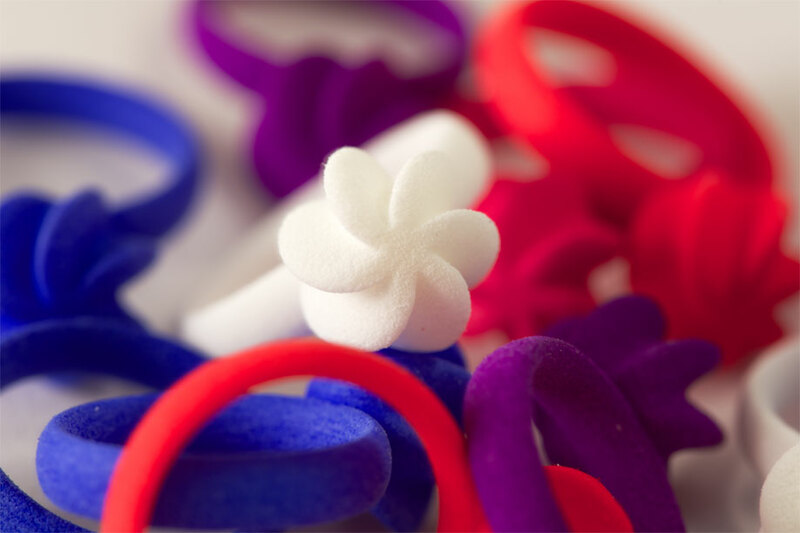 Flora is available in lots of colors, so you'll definitely find one to wear with your favorite dress. 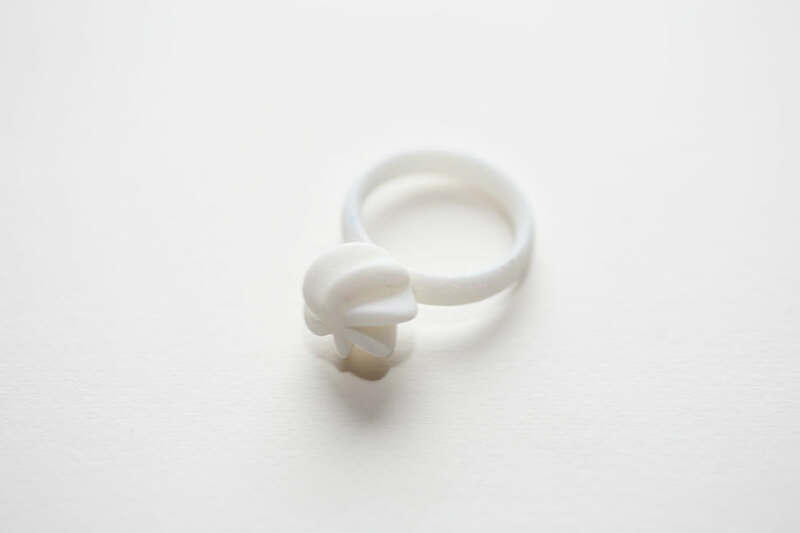 The ring is available in sizes 5, 6, 7 and 8, and is available for €20 at our Shapeways shop.